Whether you just finished pounding the pavement, squeezing your glutes to the max in a sculpting class, or sweating it all out in kickboxing class, you probably can’t wait to replenish your body with a refreshing smoothie. If you grab a protein smoothie after a workout figuring it will do the trick when it comes to helping your body to recover, there are a few things you should know. You may not realize that exercise creates microscopic muscle tears, which despite sounding destructive, is a normal part of exercise and is a very important part of the process of building muscle strength, since your muscle gets stronger by repairing these tears. The ideal post-workout smoothie will help the muscle to repair these tears, grow stronger and to improve the body’s fitness—and give you a better boost for your next workout, so choosing the right one is important to maximize your workout results and to achieve that firmer body that’s on the horizon! Simply packing your smoothie with wholesome foods that are filled with antioxidants and anti-inflammatory compounds (and not sugar!) and making sure you get some protein is just what you need to repair muscle damage and for a speedy recovery. These 6 smoothies are powerhouses when it comes to exercise recovery—and they happen to taste great, too! 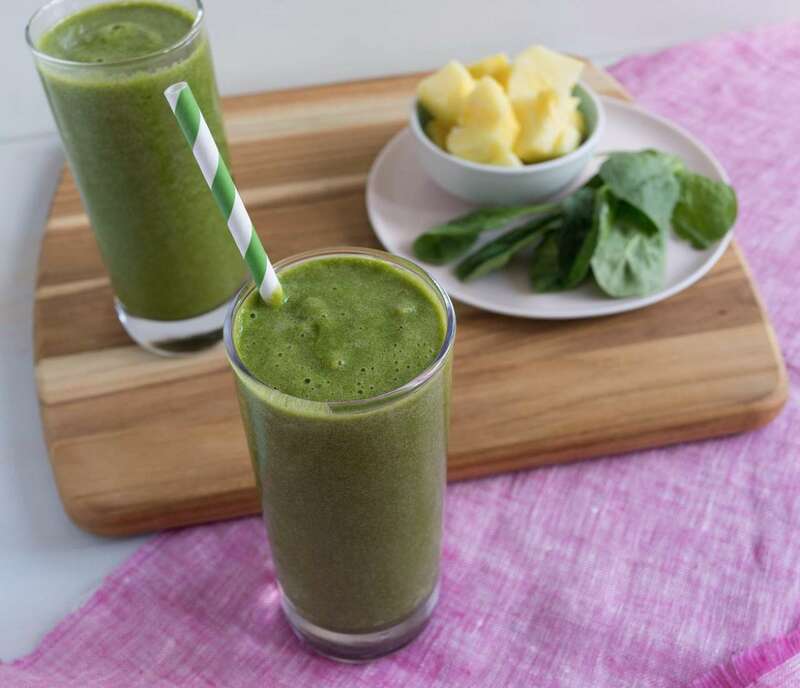 If you struggle to get greens in your diet, this refreshing smoothie is the answer-- with its’ sweet zing you don’t taste the spinach and kale, yet their antioxidants are putting out fires in the body by acting as scavengers, destroying particles that damage the body. Ginger soothes the stomach and intestinal tract (often ideal after a tough workout that leaves your stomach a bit unsettled) and has powerful anti-inflammatory properties to protect your body against damage created during a workout, hastening recovery. The pistachios contain the trio of fiber, plant-protein and better-for-you unsaturated fats that can help keep you feeling fuller longer, while the green and purple hues from the pistachios signify that there are antioxidants inside. » Get the recipe here. If you’re a chocolate lover, this rich and creamy, seemingly indulgent post-workout smoothie will satisfy and squash your cravings and prevent feelings deprivation while packing in healing, wholesome foods. Good-for-you monounsaturated fat from the avocado acts as a nutrient booster, helping your body to better absorb the spinach’s free-radical fighting vitamin A, which can help to neutralize the normal, but toxic end-products that are created after a workout, so muscles can repair more quickly. The fiber and flavonoid-rich medjool dates help to fight against inflammation. If you’re looking to amp up the antioxidants in your diet, you get lots of help here from the sweet California prunes which are rich in polyphenols, powerful antioxidants that can help fight inflammation to aide in muscle recovery, and as a bonus, they also protect the body against heart, eye, memory, and immune system issues. The combination of the antioxidant-rich California prunes, strawberries and blackberries help to neutralize toxins, so they don’t add additional stress to a body that is working to quickly repair itself. 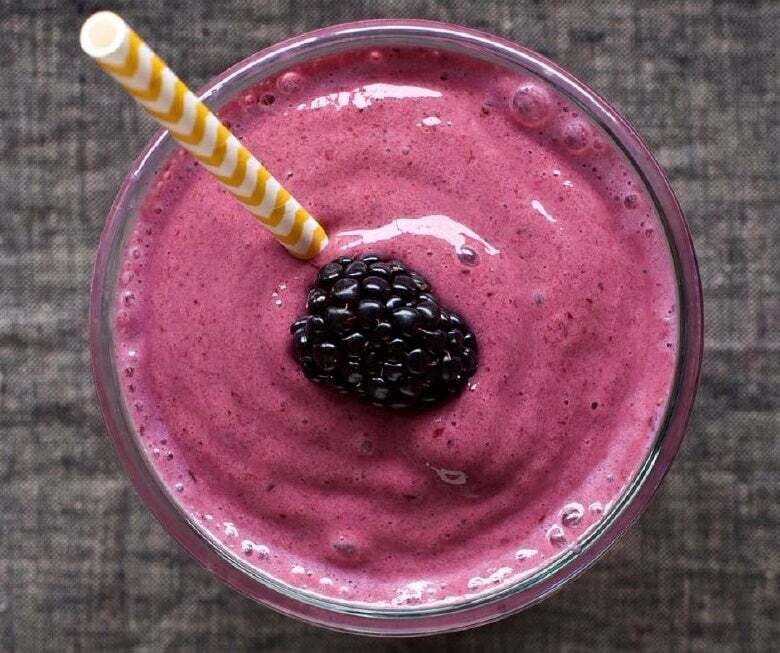 Two other reasons to enjoy this smoothie: 1) research suggests eating 5-6 prunes a day supports healthy bones; 2) the pea protein will help to keep you satisfied while also assisting in muscle recovery. If you simply need a lighter bite to hold you for an hour or so before a meal, this refreshing smoothie is perfect. With only 164 calories, this frosty number will satisfy you with eight grams of protein, while it also packs a one-two nutrient punch, combining the power of spinach’s antioxidant and disease-fighting nutrient, beta carotene, with green tea’s potent antioxidant, EGCG. The banana adds a sweet satisfaction and its’ carbohydrates help to restore muscle glycogen (energy) so you can recover more quickly after a workout. If you’re looking to shed some fat while your muscles recover from your workout, this antioxidant, protein-packed post-workout smoothie that doubles as a light and satisfying breakfast smoothie may be your ticket. Research suggests that blueberries may assist in weight loss thanks to their phytochemical C3G that may increase production of both adiponectin (which enhances fat metabolism) and leptin (which suppresses appetite). Blueberries contain anti-inflammatories and powerful antioxidants and here, they work in tandem with the lemon’s potent antioxidant, vitamin C to both mop up free radicals created from your workout (and from daily living) and prevent them from damaging your body, so that you can recover more efficiently. Lemon also helps to promote the activity of a liver enzyme that converts harmful, toxic substances to less harsh chemicals (via the liver through a compound called d-limonene.). 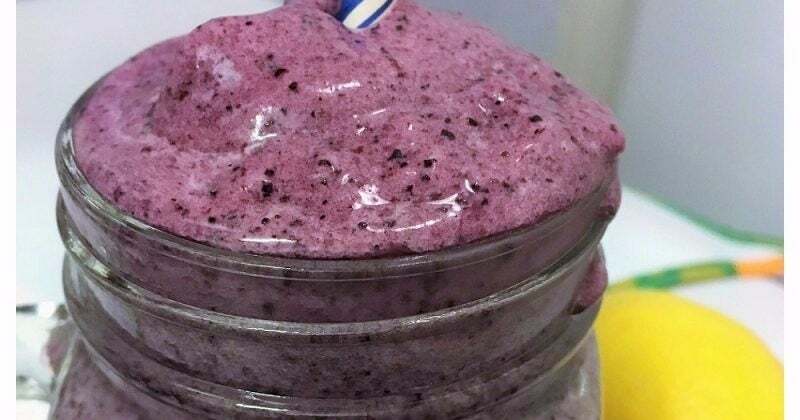 If you tend to feel ravenous after working out, this 239-calorie post-workout smoothie is just what you need prevent overeating at your next meal. While the phytonutrient-packed spinach and banana protect your muscles from oxidative damage, speeding exercise recovery, the combination of the satiating protein powder and the high-fiber chia seeds keep you feeling full for hours. Chia seeds’ fiber swells in your stomach as it absorbs the smoothies’ liquid to keep you feeling satisfied, while also helping to keep you regular, swiftly removing toxins and wastes from the colon so that free radicals won’t linger and continue to damage a body that is working hard to repair its’ tissues. The banana’s potassium helps to prevent post-exercise muscle cramps. What Really Happens When You Don't Eat After a Workout?